Local Troop 5 Boy Scout Andy Wang recently completed his Eagle Scout service project. Working with the City’s Public Works Department, Andy wanted to have a broad and lasting impact on the community. 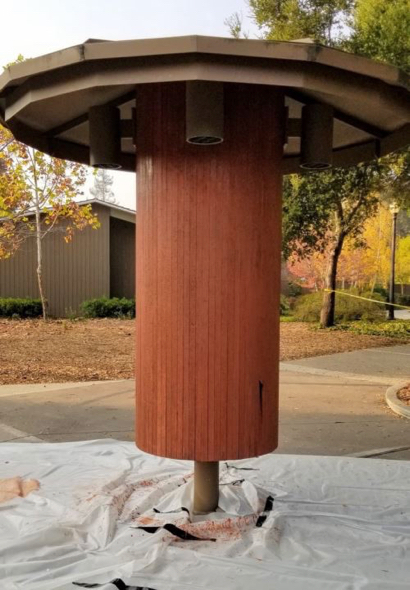 With the help of family, friends and Scouts from Troop 5, Andy restored two wood information kiosks and 24 benches at the City’s civic center campus. His hard work included cleaning and sanding the benches and kiosks as well as removing more than 15 years’ worth of staples from the kiosks. Once the preparation work was completed, a new coat of stain was carefully applied. Over the course of two weekends, Andy and his team invested 190 hours into the project.